Peace Hospice Care will be holding its annual remembrance service, Lights of Love, on Tuesday 12th December, outside Watford Town Hall from 7pm. The one hour ceremony is open to all and is free of charge. During the festive season families and friends come together to celebrate the holidays, but for those who have lost a loved one this time of year can be difficult. 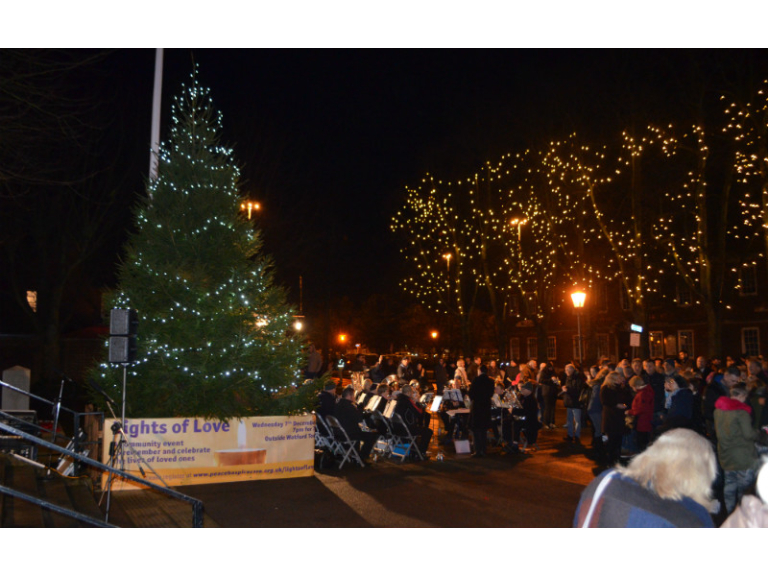 The Lights of Love event gives the local community the opportunity to remember loved ones in a peaceful way with readings, songs, carols as well as a chance to dedicate a light in memory of a loved one.